48" x 13.5" x 2" thick with 7 - 6" pots and 1 - 9" pot. Predrilled. 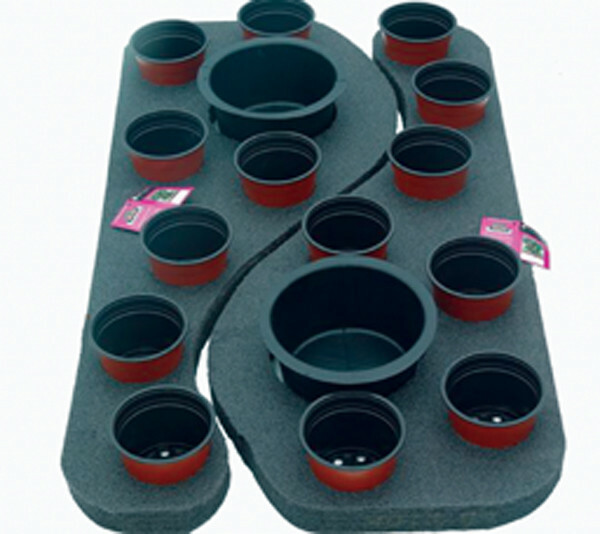 This raft is shaped to make a curved display garden of marginal plants. It creates a transition from the pond interior to the pond's edge. Transition Rafts are ideal for ponds with limited or no shallow water planting areas. 2 rafts shown in photo.